Missing part found on Ebay! 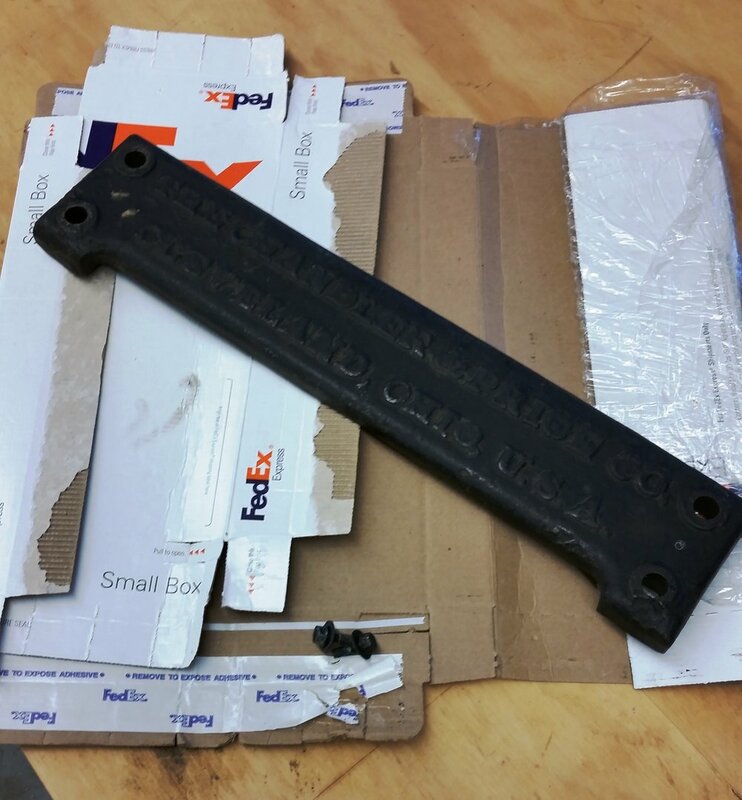 The roller carriage back plate, a steel casting weighing about 9 lbs was one of the few missing press parts. After a quick search we found an exact replacement part on Ebay. Thankfully, by the early 20th century, manufacturing had already discovered the benefits of standardization. It was a perfect match!